Wildlife managers say they expected more conflict with growing grizzly bear populations, but one biologist thinks agencies aren’t doing enough to track conflicts so they can do a better job of keeping bears alive. Concerned by the high number of grizzly bear deaths this year in the Yellowstone and Northern Continental Divide ecosystems, Hilary Cooley, the U.S. Fish and Wildlife Service’s grizzly bear coordinator, on Wednesday gave the Interagency Grizzly Bear Committee her perspective on mortality trends and what agencies might do to improve them. Wildlife advocates have been concerned about this year’s jump in the number of dead grizzly bears. The Greater Yellowstone and Northern Continental Divide ecosystems each had about 50 known dead bears, and it’s likely there were even more. FWP bear biologist Cecily Costello said last month that for every death that’s known, there’s roughly one more. With a target population of 700 or 800 bears, the loss of 100 bears can take a toll. 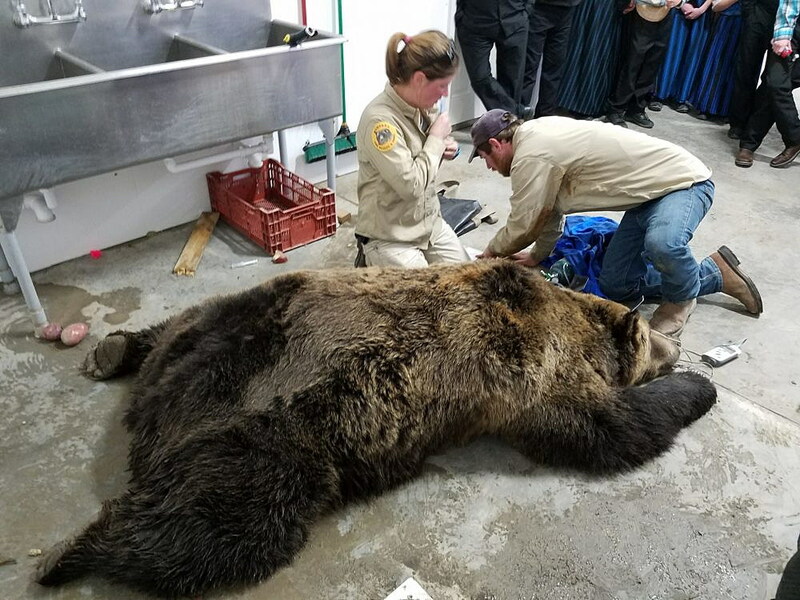 Cooley said conflict with humans is responsible for the vast majority of grizzly bear deaths: 85 percent of deaths in the GYE and 91 percent in the NCDE. But the details of those deaths have changed since the 1970s and 80s when biologists started tracking them. For example, in the Yellowstone ecosystem, more conflict occurred inside the park early on until managers shut down the garbage dumps. Now more conflict occurs with ranchers outside the core area. There’s less of a trend in the NCDE, but in the past few years, agriculture-related bear deaths are up outside the core area, east of the mountains. That’s where grizzlies are running into people who haven’t had to deal with bears before, Cooley said. In the Yellowstone region, almost 30 percent of grizzly territory is now outside of the core area. “As bears move into new areas and interact with new people, there’s a learning curve. Bears show up and people aren’t expecting them and they don’t have years of experience securing attractants. It takes a little time for people to get used to bears,” Cooley said. When biologists subtract the bear deaths recorded in the surrounding non-core areas, mortality rates vary year to year in the primary conservation areas of both regions, but there’s no upward trend, Cooley said. Grizzly populations might be stable, but what can be done to minimize conflict and thus reduce mortality? Cooley was able to identify some instances like the garbage dumps where conflict had been reduced, but she pointed out that conflict data wasn’t tracked well throughout the recovery areas so it was hard to tell what worked. “It might be a good idea to take a real critical and strategic eye to those actions to say, yes, we’re doing lots of stuff. But is it effective, is it the most strategic?” Cooley said. As an example, Cooley pointed to a 2009 conflict reduction report put together by the Greater Yellowstone committee that came up with 33 recommendations on ways to reduce conflict. But the report has been shelved since. Committee members said that each region has its own set of problems and each has a different way of reporting data, so consolidating information was a challenge. Part of the problem has been the continual shuffling of committee members as federal agencies have had budgets cut, institutional knowledge is lost and responsibilities have languished. Only now is the education and outreach committee being revived. 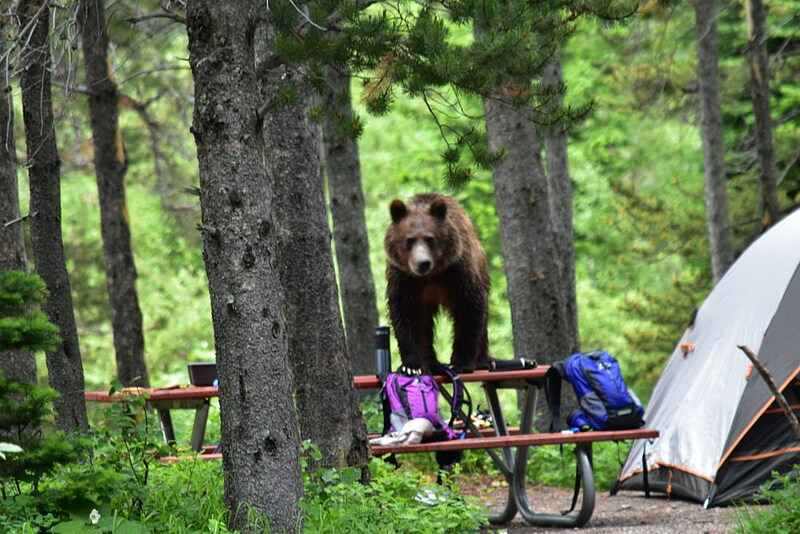 IGBC chairman Matt Hogan said the organization’s limited funds might be stretched if it tried to analyze conflict in the core areas as opposed to focusing outreach efforts on areas where grizzlies are moving. However, Montana Fish, Wildlife & Parks director Martha Williams said both efforts were needed. “The conflict reduction and being more strategic in learning from each other about what potential trends are – where we’re being effective, where we’re not being effective – is absolutely critical to even getting to the (education and outreach) part of trying to get out ahead of the bears,” Williams said. Former grizzly bear coordinator Chris Servheen reminded the committee that review boards had analyzed seven of eight human fatalities due to grizzlies and made several specific recommendations, including adding mountain bike caution signs. Agreeing that action was needed, Hogan asked the education committee to develop a clear request to ensure all regions understood the kind of conflict data they should collect. “That information exists, but it’s in many people’s different hands. But I think that information is really valuable in assessing what we’re doing. What’s happening with conflicts? Are they going up or are they going down? I encourage subcommittees to track that because we as managers can use it,” Cooley said.